The Headland Wax is a jacket we all want to wear. 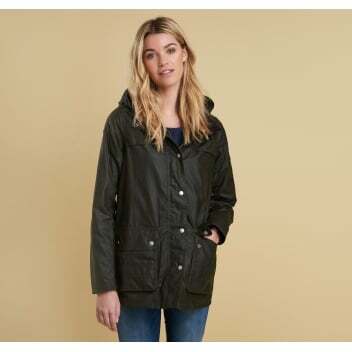 Created in lightweight waxed cotton with a zip and popper closure, the jacket will protect you from the elements. The stud-off hood gives you the opportunity to choose how to wear the jacket. With two lower patch pockets and a duo smaller pockets on the chest, the jacket is stylish as well as practical. The jacket features a cotton lining that has been printed in Barbour's iconic Beacon motif, and leather trim.